This article carefully explains indoor growing with aquaponics so you can successfully convert your basement, garage, workshop, spare room, etc. that is currently sitting idle to grow some food and have some fun! 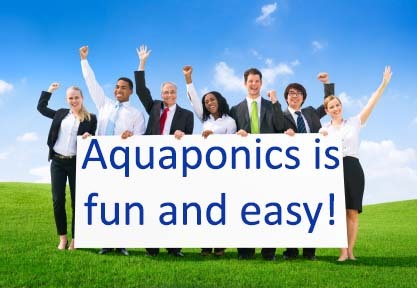 This article is not about commercial aquaponics, it is only about utilizing some existing space into a small INDOOR aquaponics system to grow food for you and your family. The Portable Farms Aquaponics Systems Course© includes the Portable Farms Kit containing the Portable Farms® Aquaponics Systems technology. The cost of the materials to build one Module that can feed eight people (up to 200 sq ft of grow space) is approximately $700 anywhere in the world. Full spectrum grow lights to make your plants really happy so you can grow healthy plants (both greens and blooming plants) – about $300. This is a total of $3,500 plus some labor and adding in cost variances, you will be in the $4,000 range. This cost DOES NOT INCLUDE ANY TYPE OF GREENHOUSE. This quote/information is ONLY for indoor growing spaces. 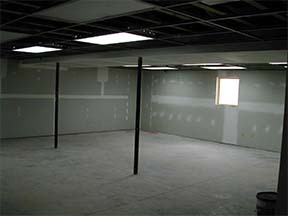 The numbers above apply to spaces up to about 450 sq ft. Above 450 sq. ft., you will need two Grow Tables and the cost will go up, but not much on a per sq. ft. basis. Any space that you utilize will require excellent ventilation and some way to reduce the humidity in the space. In most cold climates, this means you will be venting some the oxygen and humidity into your very dry house or outside your house. Think of it as an added benefit. You will probably have to clean and paint the space before you use it. The area needs to be clean. The Grow Tables are HEAVY so the floor must be able to support safely 30 lbs per sq foot of dead load. Water may be spilled (occasionally) and the floor space must be easy to clean up. Square spaces are actually much harder to plan and build than rectangular spaces. The total cost to you for converting an indoor of 25’ x 12’ or something similar, will be exactly as described above. The cost per square foot will be in the range of $12+ per sq. ft or close. 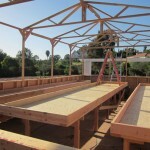 Grow Tables are normally 5’ or 6’ wide and up to 40’ long. The most effective way to utilize space is to subtract 4’ from the length of the space to see how long your Grow Table can be and then see how many Grow Tables and aisles you can fit into the space. A Module (Grow Table and Fish Tank) is 7.5’ or 8.5’ wide, 5’ plus 2.5’ aisle or 6’ wide and 2.5’ aisle plus an outside aisle. The formula to use to find number of Modules that will fit into your space = Space width minus 2.5’ divided by 7.5’ or 8.5’ = number of Modules that will fit. You state $700 for parts. Then jump to $3,500-$4,000 for it all.. huh?? The online course is $2,500. And, you must also install your aquaponics system in an acclimatized structure. Cost get away from people no matter how careful they are. We have found making the number close to what they will actually spend is easier than telling them they can pull it off for $1200. not much use n africa..
its quite complex this whole business…i might try a small scale i have green house . To maximize the installation you need to enclose it. The system is very simple and highly productive. The produce is so good the insects will eat everything if you do not at least put screen around it. You will also need shade cloth in N. Africa and nearly everywhere else. I am concerned that the installation will leave our house smelling fishy. I am pretty sure I read in your material that is not the case. Can you confirm or debunk that concern? Congratulations on your accomplishments! The only smells we can report are a slight and wonderful earthy smell of the Grow Tables and a very faint smell of the fish water at about the same lever as water from a small lake. Barely discernible and pleasant. Most people find the smells inside a Portable Farm are delightful and refreshing. We trust this answers your question of smells. I am inquiring about a 100 x 100 feet set. My concerns are as follows dose this contain more than one modular ? Will each have it’s own systems within it’s system or is it a larger systems. How about cost and company tech support? 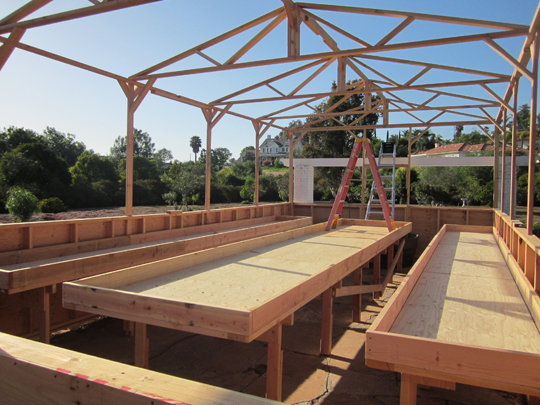 In an installation of that size there are normally between 26 and 32 Portable Farms® Aquaponics Systems Modules depending on the layout of the building footprint. Each PFAS Module is self contained, only dependent on electrical power and some occasional topping off of the water to continue to be fully functional. This way if a single Module fails, it is impacting less than 5% of the installation. With a commercial installation of that size, PFAS LLC provides, actually requires, our construction foreman to be on-site to supervise the construction of the first ten or so PFAS Modules and to help train the Operators. The Operators are trained before hand through the email correspondences course offered by Aquaponics University at a rate of one Operator per 10 Modules. This is done BEFORE the installation is completed so they can receive more hands on training when the construction foreman is there on site for the hands on training. PFAS LLC guarantees all components that we provide for a full year from date of installation and we are available for phone or email consultation between 6AM and 6PM EST every day. If there is a further need for one of our staff to be on-site, arrangements can be made for that to happen and there is a fee for that service. We trust this addresses your concerns in a adequate fashion. We look forward to working with you on your project.